It's a strong message. Apple presented its new iPad last night at a school in Chicago. The event was held in small groups without live broadcasting. Tim Cook, the company's CEO who led the keynote, also took the opportunity to present other innovations dedicated to the world of education. This was not the most important conference for the Cupertino firm, but it will certainly have important repercussions. 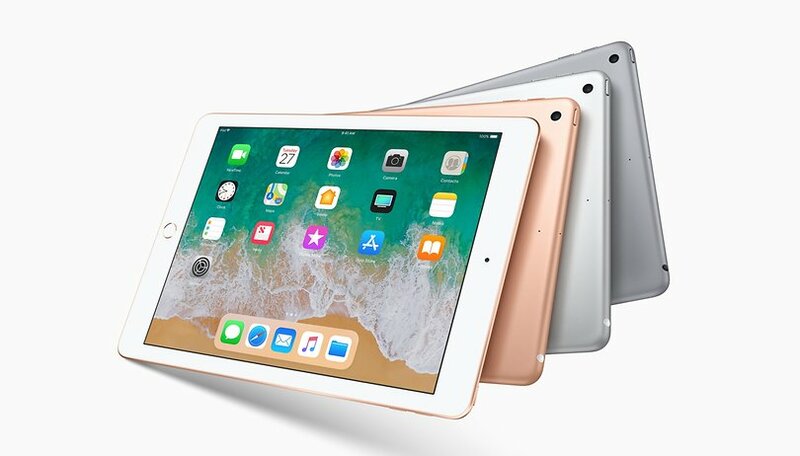 First, it confirms that the tablet market is not dead, contrary to what some analysts want to say, and second, that Apple still believes in it and backs it to the hilt. Generally speaking, there are two types of tablets: the bad ones and the iPads. Many Android tablets come with poor-quality hardware with low-end graphics cards, which penalizes device performance and user experience. Their only advantage? Their price, which makes them popular with some users. Apple, however, sells its expensive iPad, positioned almost like a replacement PC or laptop. Why not, for that matter? Processors like the Apple A10 or A11 are so fast that they sometimes beat conventional processors in their pockets. In Chicago, Apple introduced many new tools for the world of education. Apple wants to compete in particular with Chromebooks, which are an enormous success in the United States in this sector. Positioned at $329 ($300 for schools that buy them directly) the new iPad appears particularly attractive, especially for students. Inside, we find an Apple A10 processor, already seen for example on iPhone 7. The A10X boosted version is reserved for the iPad Pro. The sixth generation iPad also has all the features of an iPad. A 9.7 inch screen, 264 dpi pixel density (quite disappointing) and so on. Even the cheap iPad now supports the Apple stylus. If this new iPad does not present much in the way of innovation, it is especially its price which makes it attractive. The Android tablets in this price range are desperately inferior to the new iPad. And whether Google can compete in with Chrome OS remains debatable—despite the collaboration with Acer. Finally, you should know that Apple has also announced other innovations for education, the objective being to invade schools to impose its products on children (and then keep them). Free iCloud storage increases from 5 GB to 200 GB for schools to better manage student sessions on shared iPads. The new SchoolWork application will also allow teachers to communicate with their students or assign them an activity when they have finished their work for example. Will you buy the new iPad? Or are there any Android tablets that can still catch the eye? I own Android phones but iPads and Macs. My kids use iPads in school. Very interesting, since this is competing against the recently announced Asus chrome OS tablet. And for the regular consumer they're at the same price point. The chrome OS tablet interests me since it has a micro SD card slot.